Ten years ago this month, I stood in front of hundreds of friends and colleagues in Chicago and announced the launch of Spark Ventures. The organization was born out of a trip to Zambia that I took with two buddies just months earlier. 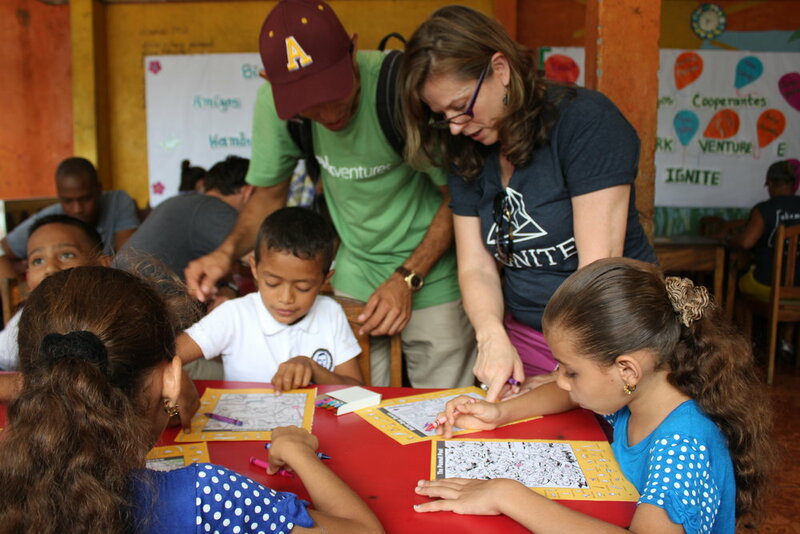 Together, we learned about the culture, became friends with local leaders, contributed to community initiatives, and saw the beauty of the country and customs. For those few days, we stepped out of the world we knew, and into an experience so deeply moving for us and those we visited, that none of us would be the same again. Today, I am humbled and excited to introduce you to a new company whose sole mission is to provide those life-changing experiences to others. A company that builds on the 10 year foundation of Spark Ventures - developing partnerships, deploying resources and facilitating journeys that connect and inspire. A company that understands that the power of a shared experience can not only transform a life and a community, it can make our world a more connected, equitable and compassionate place. My own cross cultural journey began in Japan, where I spent the first eight years of my life. From birth, I was exposed to those who spoke a different language, ate peculiar foods and held unfamiliar beliefs. But my parents helped me understand what was important: our common humanity. That served me well as we moved to southern California with its spectrum of ethnicities and then to the Midwest, where a cliché river was the painful socio-economic divide for our town. As an adult living in Chicago, I’ve been privileged to advocate for local and domestic justice issues, while my international development work with Spark Ventures has once again connected me with the global community. In each place, my perspective has been shaped and my life enriched through shared experiences with new friends from diverse backgrounds. Today, I am grateful for my personal journey that laid the foundation for a company that will build bridges between communities and cultivate life-changing relationships. A company that carefully designs and facilitates shared journeys that are mutually beneficial and culturally empowering to both our travelers and our community partners around the globe. A company that will inspire, connect and unleash resources to build a better world. Leading Spark Ventures for the last decade, I’ve had the privilege to cross paths with talented and passionate people who share my desire for purpose and meaning in our work. My cofounder in this new endeavor, Ryan Jeffery, is one of those individuals. We believe people’s strongest desires are to genuinely connect with others and to leave the world a better place. And given that most of us spend the greatest percentage of our waking hours working, it only makes sense that we look to our jobs, our careers and our employers to help fulfill those desires. Today, we want to introduce you to a company that will become a trusted partner for leaders seeking to develop and inspire their people in profoundly meaningful ways. A company that will provide a platform to connect employees to each other and to the world. A company that will infuse purpose into corporate culture and shape the transformational leaders of tomorrow. Let us introduce you to Ignite, where the power of a shared experience can change your world... and we can't wait to show you.